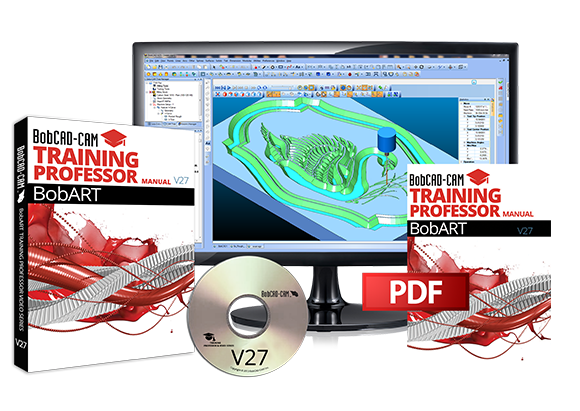 The v27 BobART Training Professor Book & Video Series is a comprehensive training package geared to help you master your BobART Add-On software at your own pace. The training lessons cover all of the aspects of the BobART Add-On while using the latest v27 CAD-CAM software. Vectorizing pictures into machine geometry and CAD wireframes. This new BobCAD v27 BobART training series is like having a personal training professor in a box, teaching you everything you need to know about the BobCAD software from A to Z!